Hae Lee Min was an 18-year-old senior at Woodlawn High School in Baltimore when she went missing on January 13, 1999. She was found, strangled, almost a month later in a park. ‘Sometimes in all the hubbub of the story, I feel like Hae gets lost,’ said Krista Meyers, a friend and classmate. The story is multilayered and unresolved for some, cuts across decades, and includes the discordance of pagers and podcasts. While podcasts are now everywhere, in 2014 when ‘Serial,’ which examined Hae’s murder, debuted, it broke out as a pop culture and critical sensation. Attention and theories were fixated on what happened and the person convicted of her murder: her ex-boyfriend Adnan Syed, a popular athlete and good student. 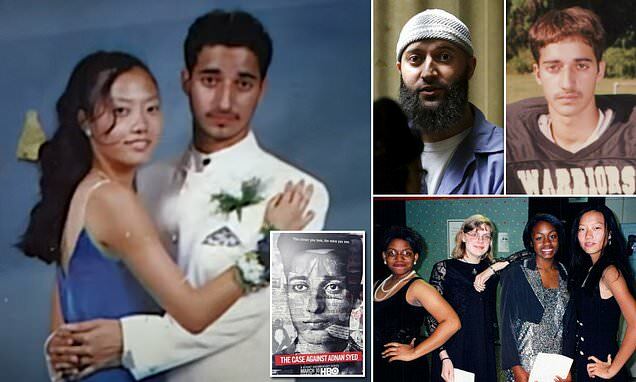 Their high school romance was kept under wraps due to their families – both had immigrant parents, hers Korean, his Pakistani – but they attended junior prom together where Adnan was named its prince, and their around eight-month relationship was complete with notes and breakups and Hae doodling his name over and over in her diary. A new, four-part HBO documentary, ‘The Case Against Adnan Syed,’ which premieres March 10, takes another in-depth look, this time a visual one, at a case that has captivated millions, spurred Reddit threads, and drove amateur detectives to obsession. ‘Serial’ has been downloaded millions of times, and, in the new docuseries, some featured in it discuss how it affected their lives.